...for rail issues. 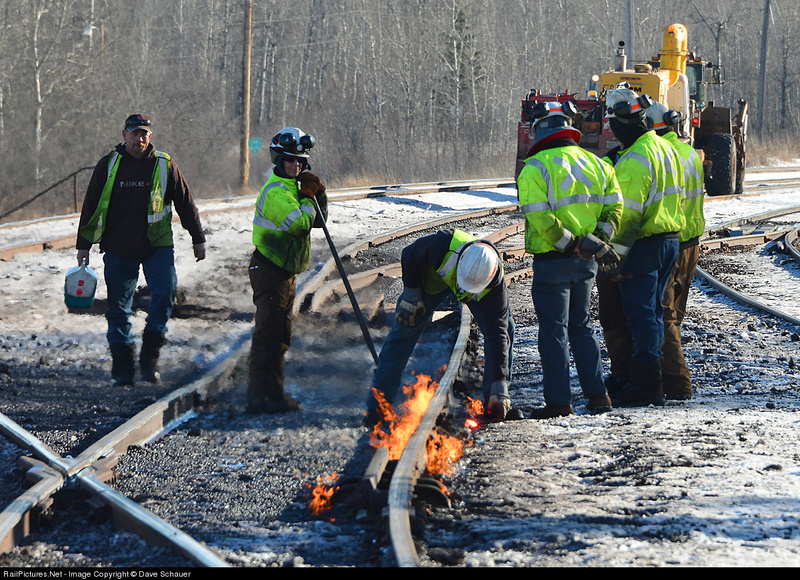 On my way back from a successful shoot of the B&LE trio (thanks Kent) I noticed this CN MOW crew heating the rail at Adolph. Not until I looked at the image on my computer did I realize one of them was female (not the most common sight in track gang service). Todd and Max were also out scoring some nice shots of the trio today.